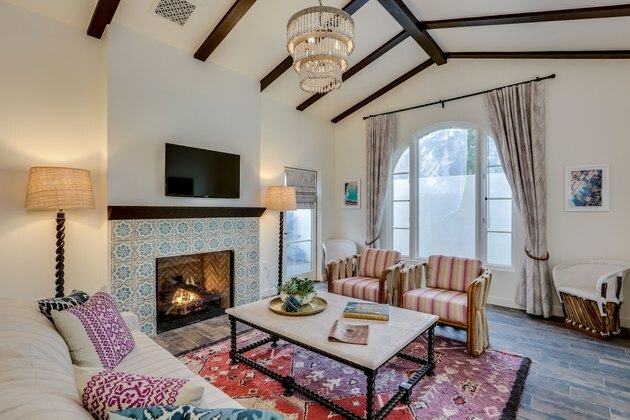 Lars and Kelly Viklund didn't let much time pass before they bought the historic La Serena Villas in downtown Palm Springs. 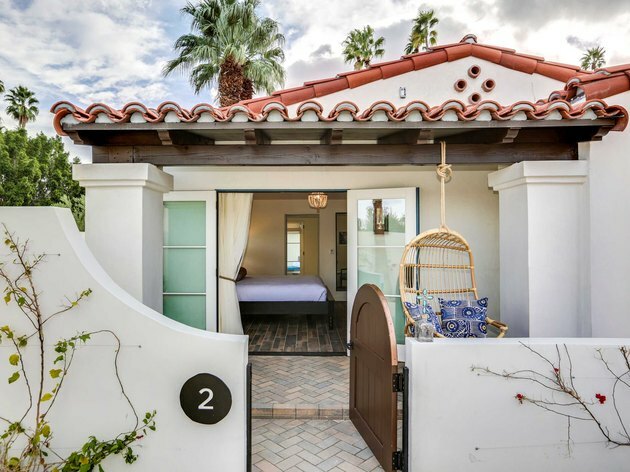 As seasoned hotel owners who oversee the outpost next door, they knew the property, a complex of villas built in 1933, would appeal to desert vacationers seeking privacy. Once the address was theirs to renovate, they hired architect May Sung of SUBU Design Architecture and Avenue Interior Design to combine the property's original Spanish architecture with the area's midcentury style. 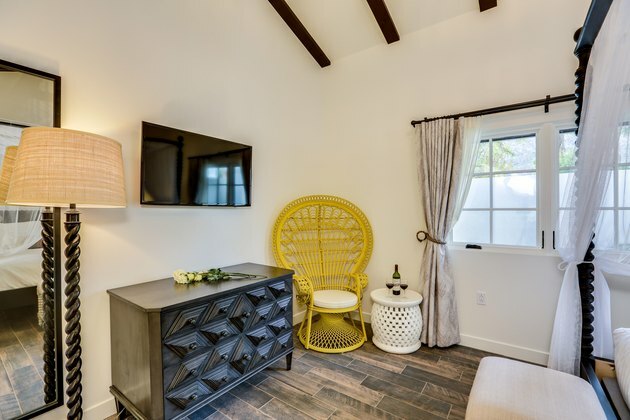 "The overall approach was to modernize the Spanish look with fresh colors, interesting textures, and an eclectic mix of furniture and art," Kelly Viklund said. The 18-villa property opened earlier this year as a reflection of the past, the present, and the personal. Rooms include beamed ceilings and quiet patios, which all share a minimalist palette accented with bright shades and textiles. "We call it modern Spanish-eclectic," Viklund continued. "[It's] clean with hints of color." With one wall open to the pool, the lobby features blue-and-white love seats and textile pillows next to a tiled fireplace. Each villa's entrance has character, with a bamboo swing out front and vines snaking up the half-walls. The bedrooms are filled with eclectic art and furnishings, such as this mustard-yellow chair and coffered wood dresser. 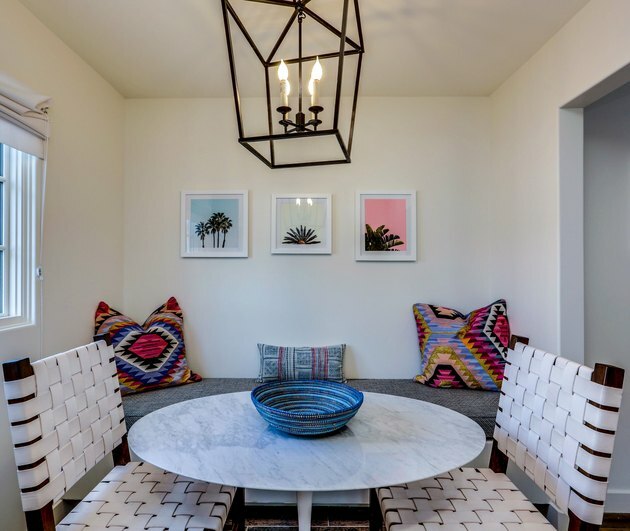 In the all-white dining area, colorful accents — like color-blocked photos of palm trees and textile pillows — are integrated with the timeless allure of an oil-lamp chandelier. Positioning furniture around the tiled fireplace creates a cozy effect. Mismatched patterns in similar hues pop against an ivory backdrop and the hardwood floors. 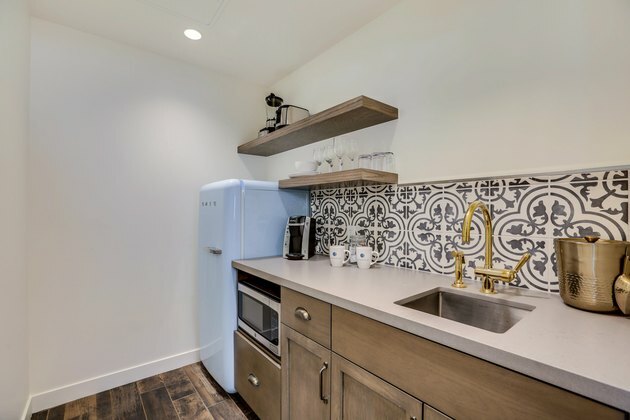 A robin's egg Smeg refrigerator is paired with a black-and-white tiled backsplash and warm woods in the kitchen. 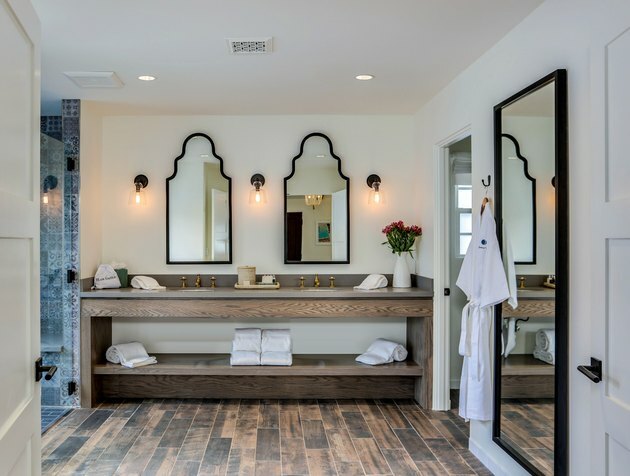 In the bathroom, exposed-grain wood flooring contrasts with ornate black-trimmed mirrors and gold fixtures. Each villa has its own patio complete with a fire pit and an outdoor clawfoot tub. It's all surrounded by large urns and bright seating.